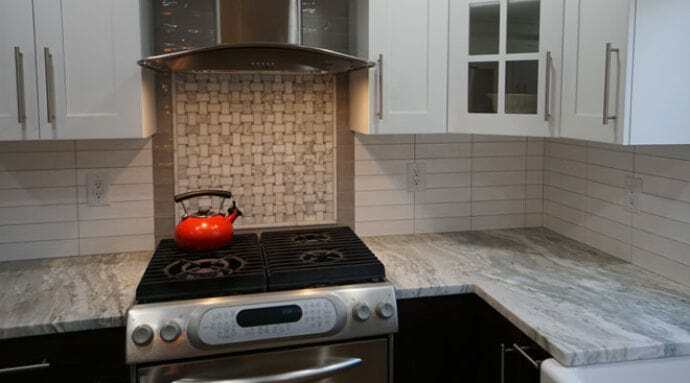 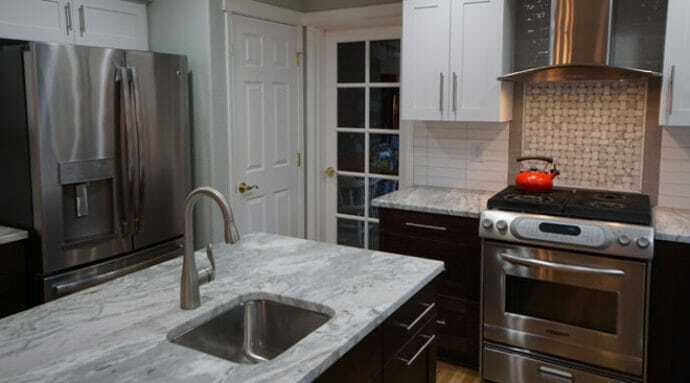 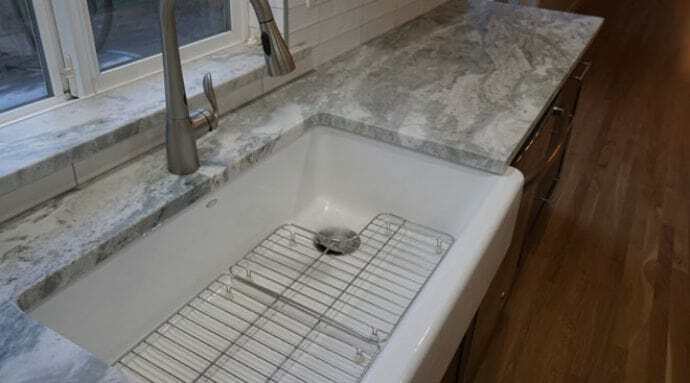 The Perlot family’s contemporary kitchen remodel was spurred on by a very damaging dishwasher water leak. 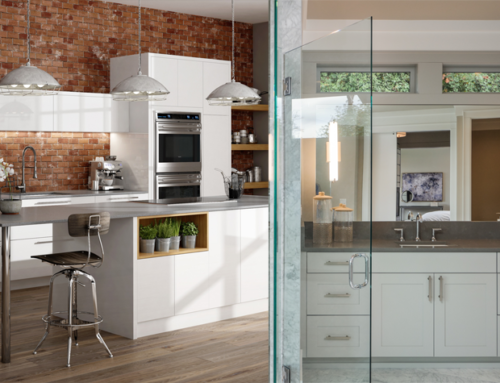 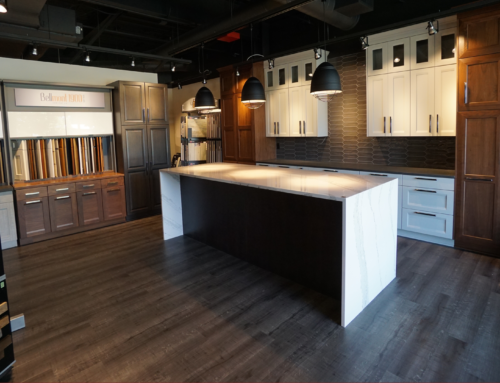 After lodging an insurance claim, the homeowners worked with The Showroom Interior Solutions to redesign their 20 year old kitchen. 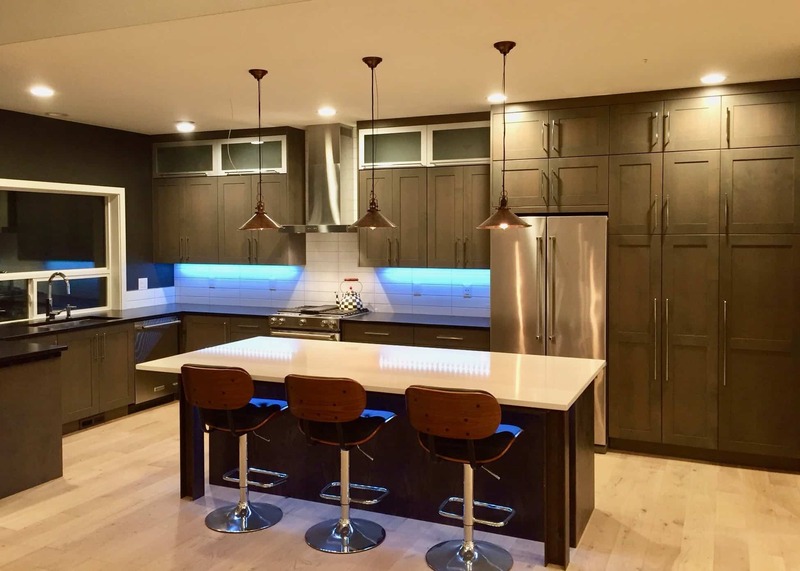 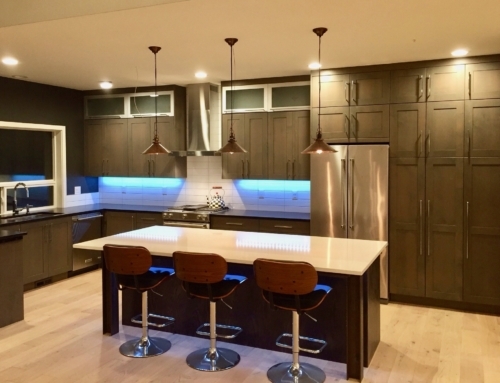 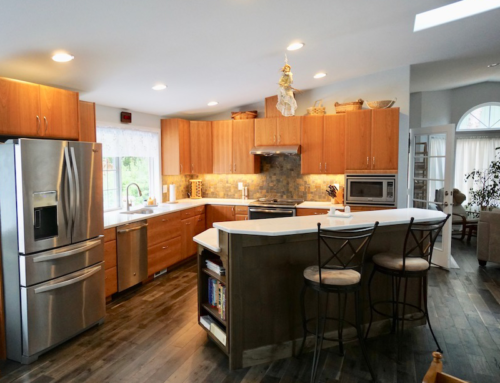 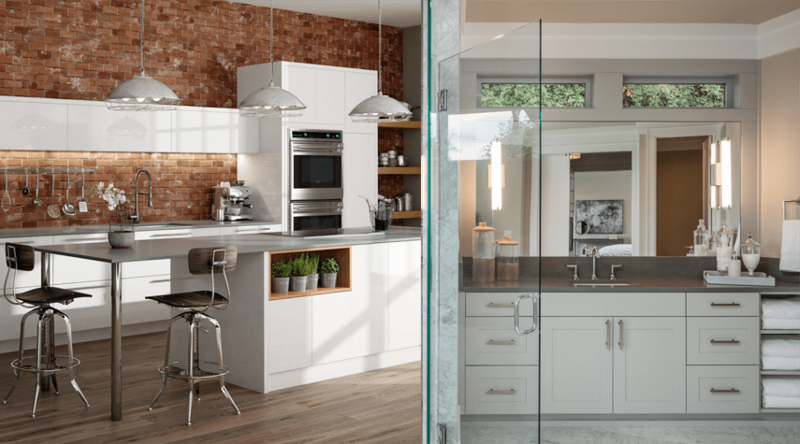 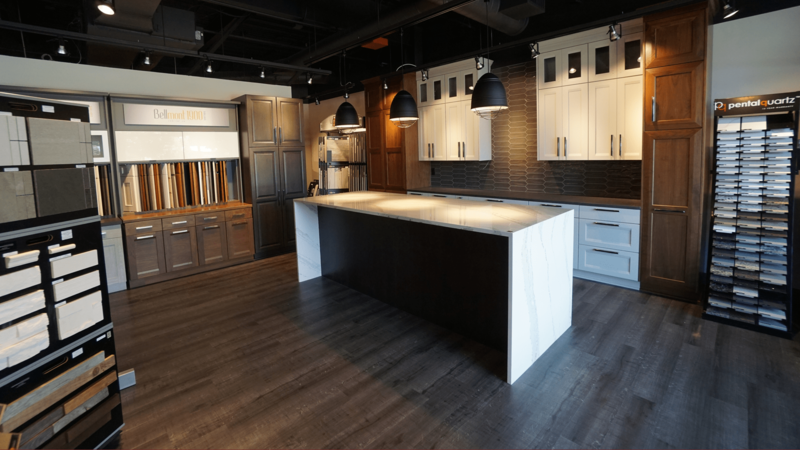 Kim and John from The Showroom Interior Solutions assisted the Perlot’s with their kitchen redesign and developed a seriously durable and modern kitchen arrangement, incorporating traditional and contemporary looks to accommodate the family’s aesthetic, cooking and entertaining needs. 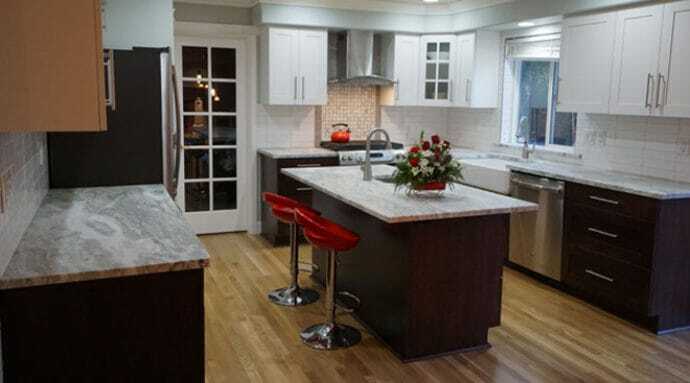 The kitchen layout was redesigned to free up countertop space, including the incorporation of a new island with a sink and garbage disposal. 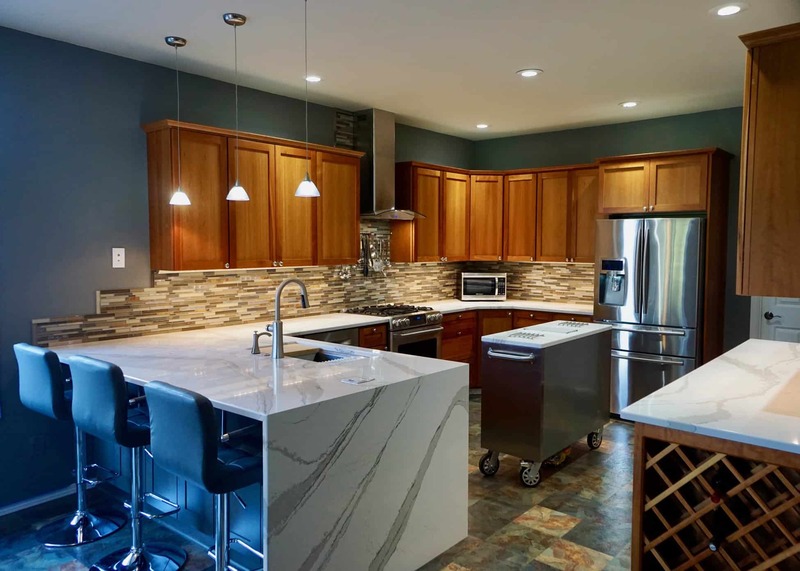 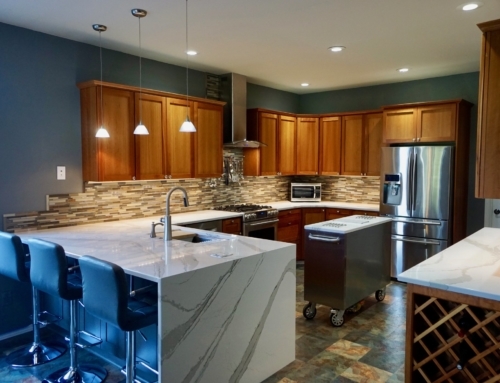 Being that the kitchen was a north facing room and didn’t get a lot of light, the remodel also aimed to brighten the room using two-toned Bellmont cabinets, a glossy stacked tile backsplash and gorgeous Fantasy Brown granite countertops. 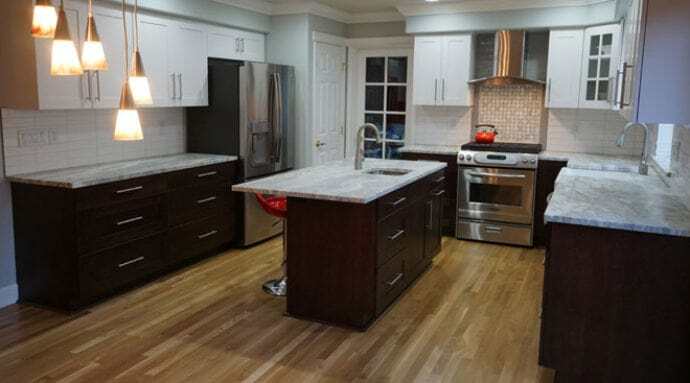 The end result was a stunning, very practical and functional kitchen.